Serving the City of Taylors with Speedy Fast Service. Locked out? No need to panic. With a 15-minute response time and a team of skilled local locksmiths ready to assist 24 hours a day, we are the emergency locksmith service company that you can always rely on. The safety and security of our home is of the utmost importance for most of us. 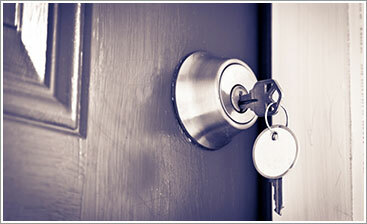 Your home's locks play an important role in that security and should always be at their operational best. 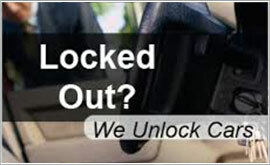 Greenville Locksmith is the only local locksmith that is never outsourced. State-of-the-art equipment and innovative techniques are just two of the many reasons local businesses choose us for their commercial locksmith needs. 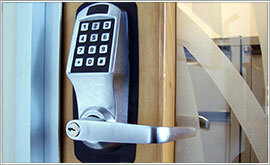 For a complete consultation about your facility's security needs, call Greenville Locksmith now. Innovative technologies have made the ancient art of key-making into a specialized skill. 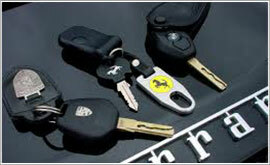 Transponder and traditional keys both can be made quickly and correctly by Greenville Locksmith Services. We can program your existing key or create duplicate keys from code. When it comes to needing a local locksmith, nothing is more important than the integrity of the company you choose. Locksmiths are in a unique position as they have immediate access to your personal property; with the potential for future access. In the wrong hands, your lock and keys are susceptible to those that know them best – the locksmith that installed them. Understanding that we must alleviate our customer's anxiety about their security, and their allowing us access to it, we never ever outsource any of our locksmith services to any subcontractor. We want to be completely transparent and let our customers know who they are dealing with, and can rely on. That ability to do so is reduced when outsourcing and we won't put you in the position of being unsure who will show up. At Greenville Locksmith, our dedicated team of locksmiths are the only people we trust to handle your emergency locksmith needs in Taylors; each and every time. It is our promise to you – our valued client. For experienced residential and commercial locksmith services in Taylors, call the experts that have been servicing the area for more than a decade. Find out why your friends, neighbors and business partners in Taylors continue to trust Greenville Locksmith Services time after time, with all of their locksmith needs. More than a decade of service to Taylors and over 20 years of experience in the industry, Greenville Lock is a family owned business dedicated to values of honesty, integrity and exceptional service. These have been the foundation of what we do, and our excellence permeates everything we do. From your first call to the moment we leave you, you can be assured that we will be efficient and friendly, fast and reliable. We do not outsource jobs like other locksmiths in Taylors. We are staffed with a dedicated team of local professionals in Easley allowing us to offer you lower priced, fast and honest locksmith services. We strive to offer our customers a 15 minute speedy response time. Whatever you need, whenever you need it, let us be the local locksmith in Taylors for your car, home or business and we know we won’t disappoint. State-of-the-art technology, a 15 minute response time and 24/7 emergency locksmith services, we work with you in mind. Contact us today to see how we can help you!